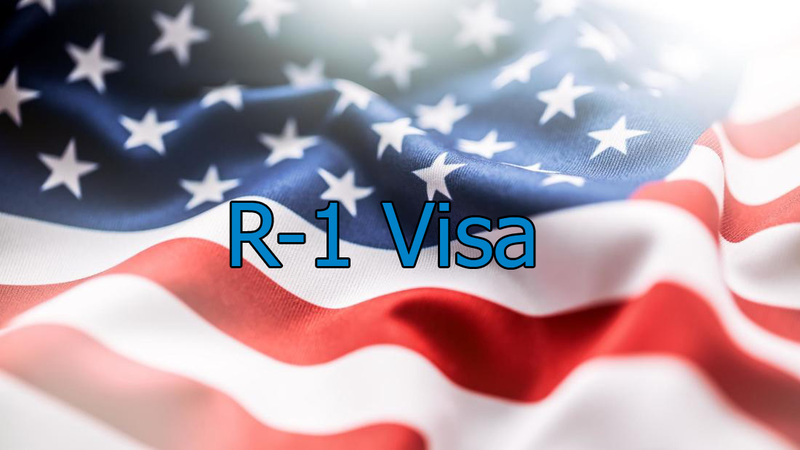 Religious visa R-1 is a non-immigrant visa that gives a foreigner the right to enter the US to perform various kinds of religious work on a temporary basis. It assumes the right to free entry and exit from the US for a certain period and to receive a salary from an American organization for performing work of a religious nature. Work must be at least 20 hours a week. Your family can travel with you (on an R-2 visa), and your children have the right to go to US schools. If you have entered the US on an R-1 religious visa and have lived there for 5 years, you can apply for a green card. During your stay in the US, you have the right to change your employer. In this case, the new employer must send an I-129 form to USCIS. Religious workers are persons who are authorized by the official religious organization to perform religious rites (priest, rabbi, etc. ), people with a religious vocation (monks, nuns), professional religious workers with religious education, and persons engaged in various spheres of religious activity (soloist in the church choir, missionary, church official, translator, etc.). Before applying for a visa, you must be a member of a denomination for at leas 2 years, which in the United States is recognized as a voluntary non-profit religious organization exempted from tax payment or eligible for it. Have an intention to work in the US as a servant of this denomination or another religious specialist (provided that this religious organization is recognized in the US as a non-profit organization exempted from paying taxes). Before applying for a visa, live for at least a year outside the US, if you previously belonged to this category you have to live outside the US for 5 years. To obtain an R-1 visa to United States, like all non-immigrant visas, you must pass an interview at the US Embassy. An applicant for this visa must convince the embassy staff of their strong ties with their home country. At the same time, there is no requirement that you have a permanent place of residence outside the US that you are not going to change. Despite this, you must demonstrate your intention to leave the US after the expiration of the legal period of stay in this country, if during this time there are no special circumstances (evidence) to extend this status. What will you get by contacting Gasana Law Firm? The USCIS is increasingly monitoring the cases of candidates for an R-1 visa. The reason for this is the increase in the number of cases related to the provision of false information and fraud. In this regard, the list of agencies in the US of America to which I-129 petition can be applied for a visa for a new employee is reduced to a minimum. If you really want to come to the US on an R1 religious visa, then contact Gasana LAw Firm. We will analyze the immigration possibilities of you and your family, as well as select the most appropriate solution to the issue. Gasana Law Firm qualified US attorneys will assist you in collecting all the necessary documents and directly in the petition process. Need a consultation? We are ready to answer all your questions! Attorney Claudine at Gasana Law Firm provides a variety of legal services such as employment visas R-1. Contact one the best Houston Employment Law Attorneys today!